Well if you thought afternoon naps were just for babies, kids and pets, think again. 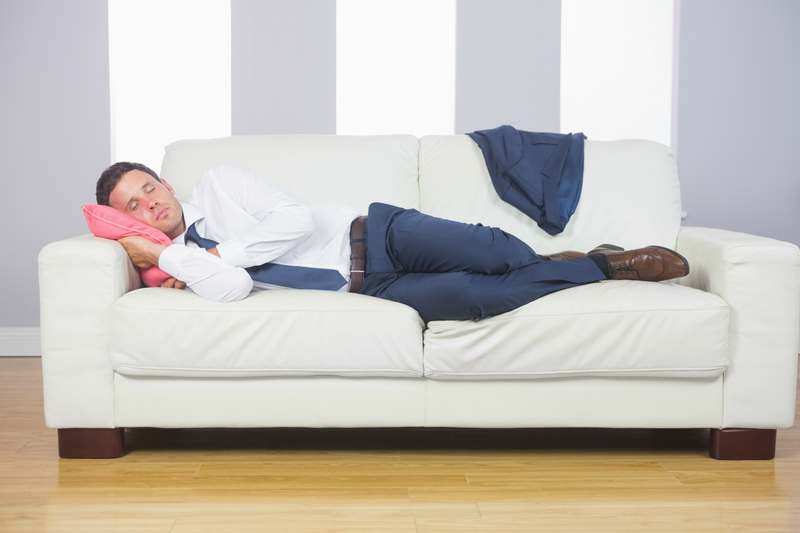 As many companies figure out ways to get creative, engage employees and truly create a work/life balance, this new take on “nap time” may just do the trick! This trend is catching fire and for those employees who want to take a little break from it all while still clocking the hours some employers may need to provide a nice cozy place to unwind. While many employers might think this is taking the work/life balance thing too far, some are rethinking this popular trend. Laws were created to protect employee’s rights at work hence the creation of the “Lactation Room” for nursing mothers returning to work. I don’t know if you have to be considered an insomniac to qualify for a nap break during the workday, but it’s nice to know it can become an option for you in the future. As you look at jobs that interest you and places you’d really like to work, how important are the “perks” that come with the paycheck? Money, title, and benefits use to be the drivers for recruiting and retaining successful candidates. Now, free food, nap rooms, and concierge services can be a deal breaker as employees consider their career options. When all you thought you needed to worry about was how long of a commute to work you’d have to endure, companies are fighting over new and creative ways to make you jump on accepting that job offer. It’s not just getting a big car allowance or a corner office that’s important anymore. The war on talent means you are in the driver’s seat when it comes to asking for and getting what you want. Thirty years ago you would be fired for sleeping at work, now you are being encouraged. Heck, that was probably true even ten years ago! Times are changing fast and you have nothing to do but sit back and see what comes up next for you as you consider all the options. Allowing employee’s flexibility at work no longer means working a flex schedule or leaving early on Friday during the summer. Employers need to think more creatively about how and why someone would want to come work for them and pulling out all the stops as it relates to making your workplace feel like your home is no exception. I say bring back the cocktail cart please! As you consider all that is available to you when it comes to your career choices and your next job move, think about how you want to show up for work. How important is it to be able to spend time with your family as well as get the job done? Do you need to take a nap or a walking break or play card games at work just to break up the day? How well can you stay motivated at work if you don’t have any down time available to you? Knowing when to stop and rest even if it’s at your desk is important to stay the course no matter how many hours you have to pull at work. After all a happy employee is a productive employee and your boss would love it if you lived at work-why do you think there is an endless array of food available to you at all times of the day? Know what you want BEFORE you sign that offer letter no matter how big the ice cream bar is.